Tickets available here beginning 10/31 at 9 a.m.
With a silly putty voice, hilarious heart-filled stories, and amazing mouth noises (arguably, the greatest whistler in the world) one-person-showman, Andy Offutt Irwin is equal parts mischievous schoolboy and the Marx Brothers, peppered with a touch of the Southern balladeer. One of the most sought-after performing storytellers in the United States, Andy is a perennial favorite of the Teller-in-Residence Program at the International Storytelling Center in Jonesborough, Tennessee, and he has been a Featured Teller at the National Storytelling Festival nine times as of 2017. 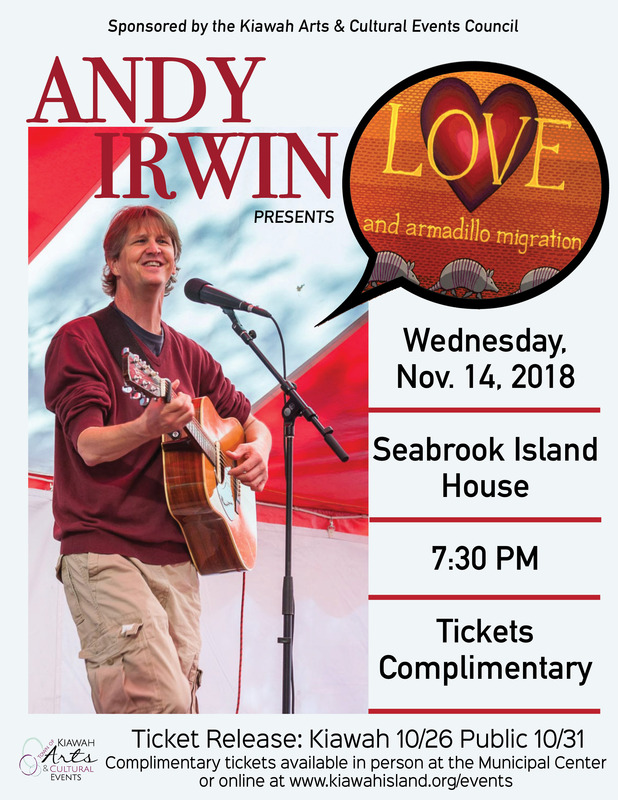 Along with being a vagabond storyteller, Andy works as an arts educator, keynote speaker, theatre director, songwriter, comedian, newspaper columnist, camp counselor, and Shakespearian actor. His character-filled, one-person shows and storytelling performances center around the adventures of his eighty-five-year-old-widowed-newly-minted-physician-aunt, Marguerite Van Camp, a woman who is keeping her finger on the pulse of the changing world around her as she seeks to grow – even at her advanced age – in these United States and the New South. Every show includes original songs, and of course, whistling. Andy lives in the town where he grew up –which is the same town where his mama grew up, which is the same town where his mama’s mama grew up, which is the same town where his mama’s mama’s mama grew up, which is the same town where his his mama’s mama’s mama’s mama grew up – Covington, Georgia.